This entry was posted in 7Days and Counting. Bookmark the permalink. 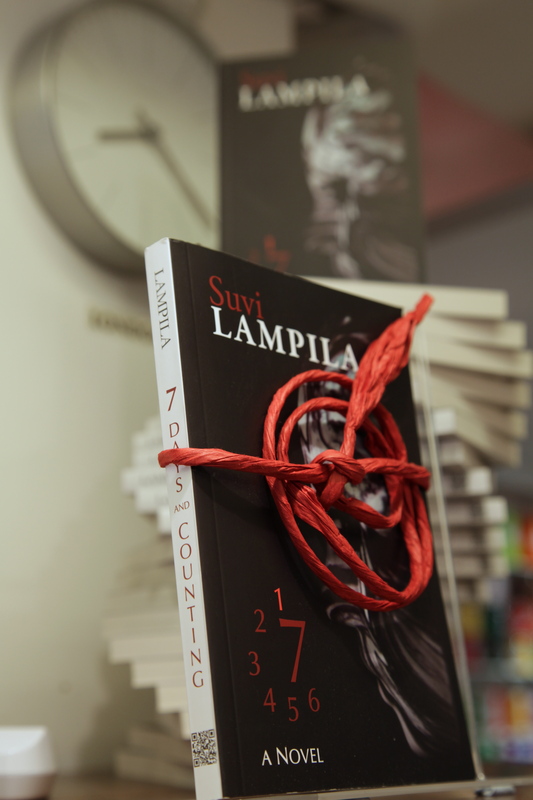 Hi Suvi, sorry to have missed the book launch but congratulations on getting published! Gives hope to all of us writers here in HK. I’ve just read the excerpt and will definitely have to pick up a copy next time I’m near Kapok. Thank you Jennifer. If you are up for some Literature on the Water, there will be a WiPS junk boat trip on Wednesday, November 14th. I’ll be reading something steamy and something surreal from 7 Days and Counting.